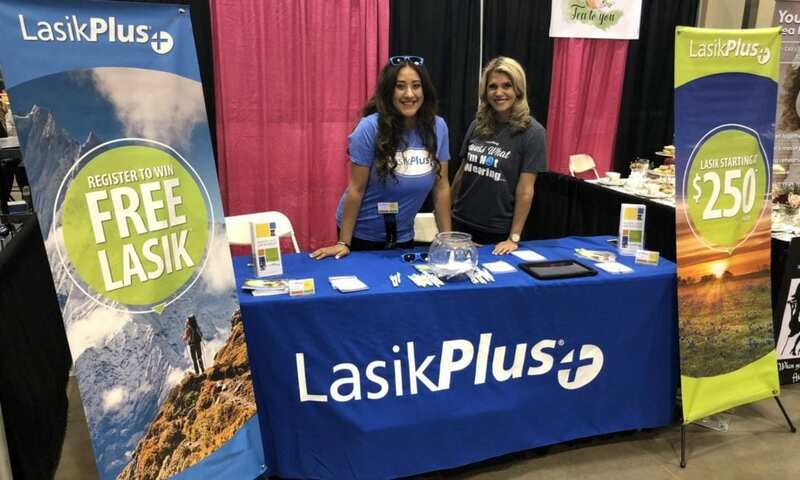 Elevate partners with LasikPlus to activate over 360 event days annually, across 32 markets, to create buzz and excitement within the community, while interacting with local core consumers at events to collect leads and deliver key sales and product messaging. Elevate provides core teams of ambassadors in each of the 32 US markets. The teams engage consumers and capture qualified leads, via an enter to win promotion, at local market events such as various expos, fairs, festivals, as well as marathons, golf events, and other special events. Elevate has established best fit pools of sales focused, trained Team Leads and Lead Generation Ambassadors in all markets, who work on the program throughout the year. Pools of staff are tailored to meet the demographics of each market, including bilingual staff where required. Elevate’s dedicated Account Team works closely with the Client including weekly planning and metric reviews, ongoing scheduling of events, kit management and coordination with local clinics, and staff training. Elevate provides LasikPlus real-time digital reporting and online program dashboards. Elevate’s teams continue to meet and exceed targets year over year. LasikPlus relies on Elevate, as an integral partner, as the program continues to grow and expand.